Tribunal fees unlawful: Lifting the lid further on gig economy worker claims? Following a four year fight by UNISON, the Supreme Court has allowed their appeal and held that employment tribunal fees are unlawful. 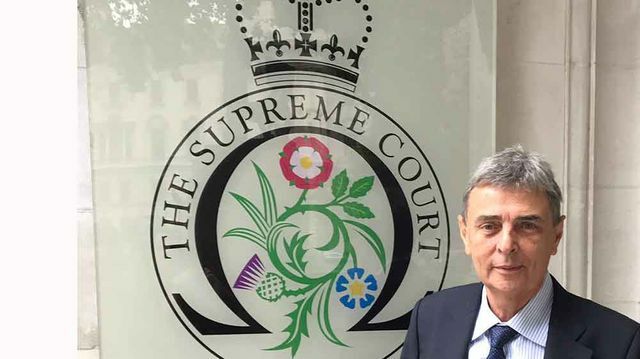 Dave Prentis, UNISON general secretary has said: “The government is not above the law...when ministers introduced fees they were...showing little concern for employees seeking justice following illegal treatment at work...It’s a major victory for employees everywhere. UNISON took the case on behalf of anyone who’s ever been wronged at work, or who might be in future. Unscrupulous employers no longer have the upper hand. These unfair fees have let law-breaking bosses off the hook these past four years, and left badly treated staff with no choice but to put up or shut up". What is the effect of the judgment handed down this morning? Employees and workers will no longer have to pay an issue and possibly also a hearing fee (together up to £1,200 for some claims) in order to challenge unlawful behaviour by their employer and seek compensation or enforcement of their rights. The government may be facing claims for a refund from thousands of claimants who have paid fees. Statistics since the introduction of the tribunal fee system have shown a consistent drop in the number of employment tribunal claims being brought, leading many legal practitioners and advocates for employees and workers to comment on the impact of the fees system on the ability of workers to enforce their legal rights. What is the impact for "gig economy" workers? There is no doubt that this is a landmark judgment for all workers and employees. Perhaps the greatest impact will be for so-called gig economy workers - the Uber drivers, CitySprint couriers etc - who work on flexible, casual and intermittent bases. Many of whom are workers but, as we have seen from recent tribunal judgments, have been denied holiday pay or not been paid the national minimum wage. For these workers, who do not have guaranteed work or protection from unfair dismissal, bringing claims was risky enough, without the further barrier of a tribunal fee which may have exceeded the value of their actual claim. Businesses engaging people on these flexible "gig" models may find that they are facing an increase in claims if they are incorrectly treating workers as self-employment and do not provide them with their entitlements to the national minimum wage and holiday pay. Indeed, we are seeing a clear move in recent employment law cases to an emphasis on the importance of employees and workers being able to enforce their legal rights. The Advocate-General in his recent Opinion in a case involving a UK worker (King v The Sash Window Workshop) stated that there should be no "pre-condition" to a worker being able to exercise their rights (in that case in respect of payment for holiday). The Court said UNISON’s evidence showed the fall in claims when fees came in was “so sharp, so substantial and so sustained” that they could not reasonably be afforded by those on low to middle incomes. It also held that fees particularly deterred the kind of ‘low-value’ claims generally brought by the most vulnerable workers. Tribunal fees should be scrapped, says @UKSupremeCourt.